*Must pass the Trent On Road Test (Practice driving test) before attempting the driving test. Must take the driving test with an LTrent instructor. 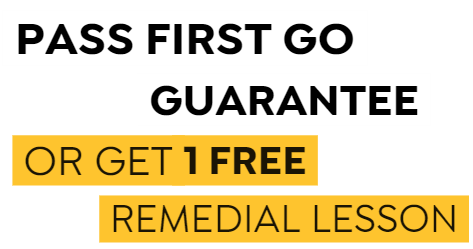 Offer is for a 60 minute remedial lesson if you fail your first driving test with LTrent. Offer ends 31 March 2019. Want To Pass First Go? Book your driving lesson with LTrent Driving School today! You’ll receive all the necessary skills and tips to help you pass your driving test first try.